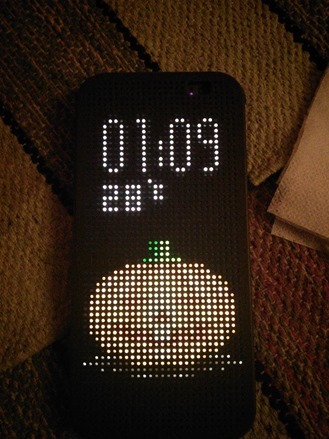 HTC's Dot View case is a cool idea, though the quality of the accessory itself is somewhat suspect. Still, HTC gets points for doing something new. What's more, it turns out the Dot View for the One M8 still has some tricks up its heavily perforated sleeve. There's a Halloween surprise lurking in there. 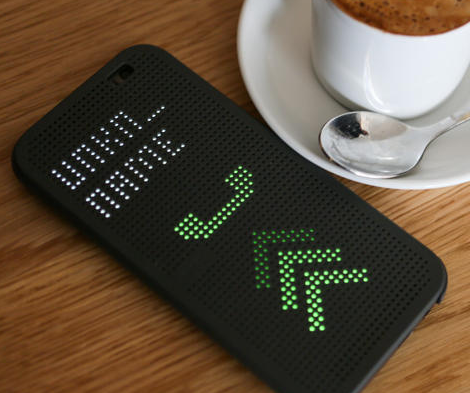 The Dot View case is able to show notifications and other bits of data by shining light from the screen through the holes in the case. 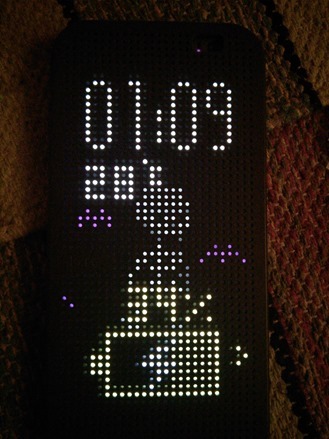 Of course, the One M8 has an LCD to the whole screen is on when it's doing this. 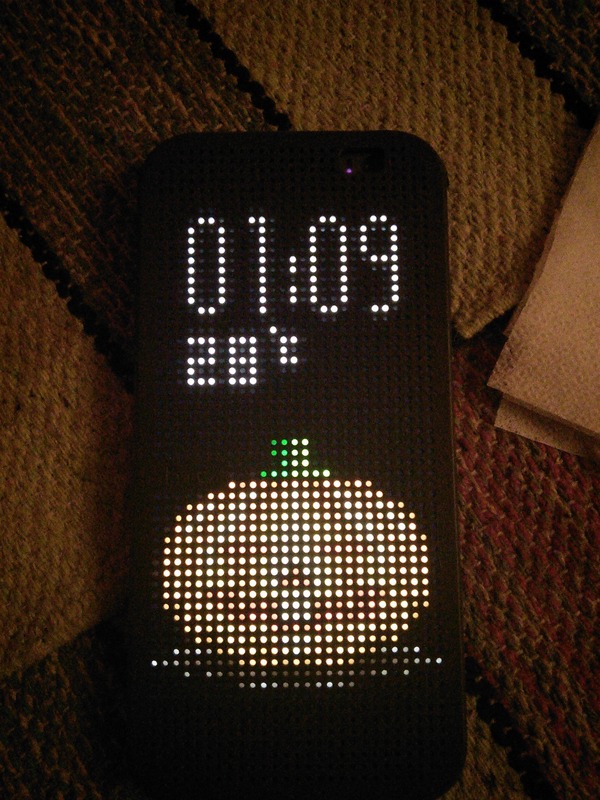 As for that surprise, it's a jack-o'-lantern that appears when you wake up the Dot View UI on Halloween. Plug in the phone, and you get a skeleton with bats. So spooky! HTC really needs to get this going for all holidays. 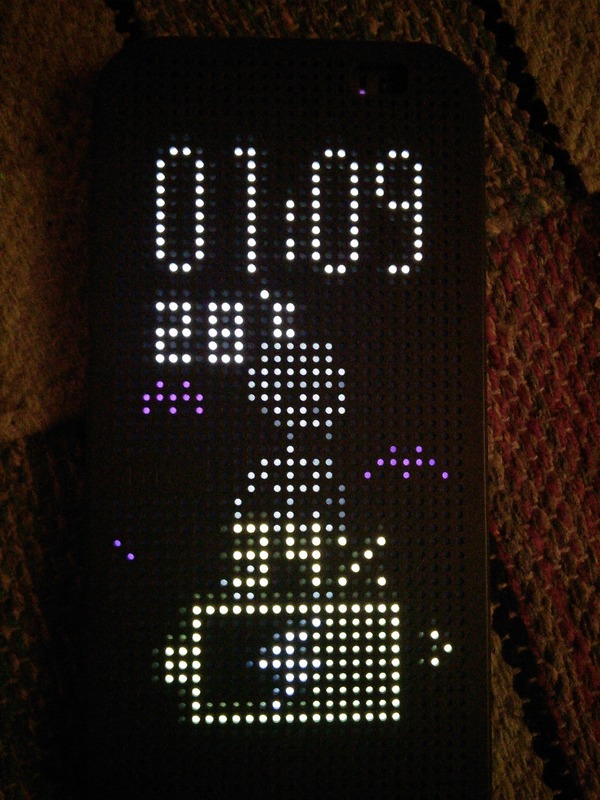 It reminds me of Motorola's seasonal boot animations, which are always fun. 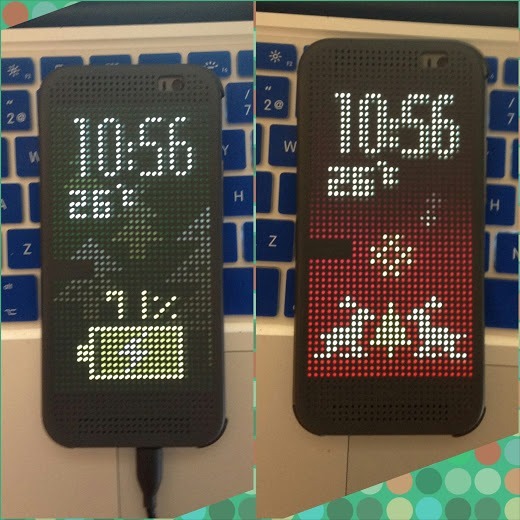 Update: It looks like HTC has a few more holiday themes ready to go. You just have to change the system date to see them.